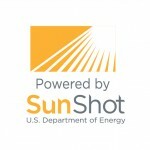 April 14, 2016 — The SunSpec Alliance today announced that it has secured $1.64 million in federal funding to develop data interoperability standards for the U.S. Department of Energy SunShot Initiative’s Orange Button, a new program that aims to establish data standards for the solar industry. By making it easier to aggregate and share solar data, this new program enables rapid and seamless data exchange, helping to make financing transactions more efficient and reducing solar project soft costs. SunSpec Alliance will work alongside three other organizations to achieve the program’s goals in a highly coordinated approach. Partnering with industry stakeholders SunSpec will lead the definition of data taxonomies and interoperability standards, establishing a “Lingua Franca” for interchange of interoperable datasets. Leveraging existing de facto and international standards, SunSpec will establish standard data taxonomies, information models, Application Program Interfaces (API’s) and compliance test suites to enable the free flow of data between existing software solutions that support each aspect of the solar asset lifecycle. The goal of this program is to provide open standards that improve data consistency, transparency & interoperability throughout the solar project lifecycle in order to support new and existing solar business models at low cost. “Data interchange standards will drive down costs by decreasing financial risks and enabling rapid growth in the solar asset class,” said Thomas Tansy, chairman of the SunSpec Alliance. By improving data consistency for all solar data users, this program helps to mitigate transaction inefficiencies and encourage even more investments in solar. “This project is a wise investment that will improve investor confidence, establish transparency, and open up new opportunities across the solar industry,” he added. The project team includes seven SunSpec Alliance member companies and partners including Clean Power Research, Sandia National Laboratories, the National Renewable Energy Laboratory, Underwriters Laboratories, Solar Energy Finance Association, Solar Energy Industries Association, and XBRL US. The SunSpec Alliance has also received commitments from 22 industry leaders totaling over half a million dollars in cost-share pledges. The SunSpec Alliance invites all stakeholders to participate and contribute to this effort. To learn more or to schedule a meeting, please contact us at projects@sunspec.org.